ERO ONE FILMS present "WHITE GRAVE". A film by Florent Marot, Jon Vital, Julien Roserens and Vince Pages. Management by Thibaud Pages and Florent Marot. Riders: Mathieu and Sam Schaer, Florent Marot, Vince Pages, Féfé Pellacani, Julien Rochette, Dim Biau,Fred Couderc, Antoine Baduel Jani Sorasalmi, Chris Cunningham, Niels Schack, Anto Brotto, Fred Couderc, Emilien Badoux, Christian webe, Joel Ahola, Dan Premand, Arthur Giraud, Hans Kestila. 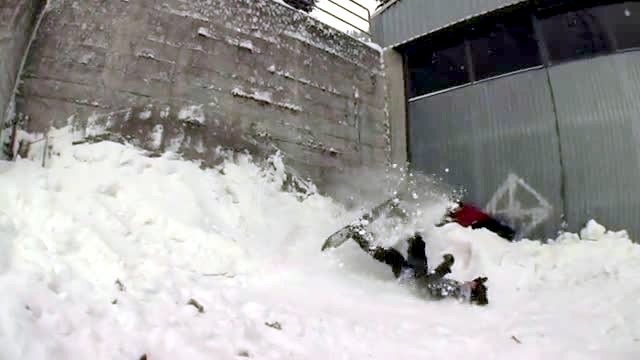 Some B footages of a funny session on this wall at Leysin (CH), with Florent Marot, Niels Schack and Christian Weber. Slam of the day with Dim at Meribel (FR). Check all the videos on : www.eroonefilms.com . Slam of the day in Switzerland with Florent Marot. A little run at The Stash (Avoriaz, FRANCE) with Ero One's rider Niels Schack. Ero One Films "La Cassette" extra footages: Some backcountry footages between Japan and Switzerland with Féfé Pellacani, Dan Premand, Antoine Baduel & Jani Sorasalmi. Ero One Films "La Cassette" extra footages: a little part of our french friend Anto "Le Poulpe" Brotto. Ero One Films "La Cassette" extra footages (2011): Good times during our trip in Quebec. Ero One Films "La Cassette" extra footages (2011): Some lost footages at Helsinki, Finland. Ero One Films "La Cassette" extra footages (2011): A moment with our photographer Julien "Perly" Petry. ERO ONE - "PERLY SHOW BONUS"
Ero One Films "La Cassette" extra footages (2011): Dim Biau stomped his hippie jump first try! Ero One Films "La Cassette" extra footages (2011): You don't get something for nothing but keep working on it and your success is certainly well-deserved! Jani Sorasalmi & outro parts from "LA CASSETTE" by ERO ONE FILMS (2011). Maïko Nicolet part from "LA CASSETTE" by ERO ONE FILMS (2011). Mat Schaer part from "LA CASSETTE" by ERO ONE FILMS (2011). Vince Pages part from "LA CASSETTE" by ERO ONE FILMS (2011). Friends part featuring Pierre Rué, Tuomas Alapieti, Loris Kislig, Zach Aller, Fred Lacroix, Max Verville and Michael Stahlberg from "LA CASSETTE" by ERO ONE FILMS (2011). Antoine Baduel & Dim Biau parts from "LA CASSETTE" by ERO ONE FILMS (2011). Florent Marot part from "LA CASSETTE" by ERO ONE FILMS (2011). Féfé Pellacani, Dan Premand, Clemens Jezler & Tim Cachot parts from "LA CASSETTE" by ERO ONE FILMS (2011). Julien Rochette part from "LA CASSETTE" by ERO ONE FILMS (2011). Intro and Chris Cunningham parts from "LA CASSETTE" by ERO ONE FILMS (2011). ERO ONE FILMS presents its new film LA CASSETTE. Available in September 2011 with ONBOARD. 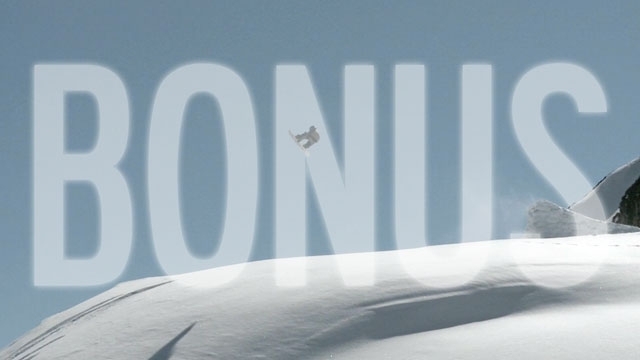 Featuring : Florent Marot, Vince Pages, Jani Sorasalmi, Maïko Nicolet, Julien Rochette, Chris Cunningham, Tim Cachot, Clemenz Jezler, Dim Biau, Dan Premand, Antoine Baduel, Mat & Sam Schaer, Féfé Pellacani and friends... Filmed by Julien Roserens & Jon Vital. Supported by : DC Shoes, Bataleon, N.D.K, Attitudesk8.com, Seventyone Percent, Pull-In, Spy, K2 Snowboarding, Head Snowboards. Slams of the day in Helsinki - How to handplant with Dim BIAU.